Canadian cyclist Michael Woods and Slipstream Sports have agreed a new deal for the coming two seasons. 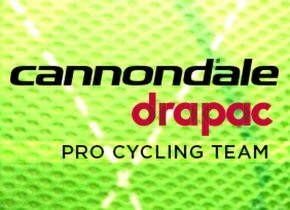 Woods joined Cannondale in 2016, making his WorldTour debut at the age of 29. The rider finished second at the 2016 edition of Milano-Torino, but made his real breakthrough this year with an impressive seventh place at the Vuelta a España as well as finishing ninth at Liege-Bastogne-Liege. "There was no question that we wanted Mike to stay with us," said Slipstream Sports CEO Jonathan Vaughters. "We knew he was capable of the performances he put in this year if he was managed and mentored properly, and we think we’re still uncovering the depths of his potential. Mike is motivated, bright and open-minded. He’s an asset to our program." Woods himself sees this new agreement as a way for him to pay back the trust the team has had in him from the beginning. "The team has put their faith in from the start," he said. "They were the first team that reached out to me, and they gave me a leadership role in my very first race – which is even harder to wrap my mind around now than it was back then. I’m happy to have the opportunity to pay back everyone for the trust and support they showed me during these next two years."